A bit barebones, but is still fun for kids and their parents to play together. There’s no shortage of the Mario Kart clones out there, from All-Star Fruit Racing to the latest one with Bamtang Games’ Nickelodeon Kart Racers. While it feels a bit barebones due to being flat and empty, there’s just enough fun to be had by kids and their parents for small playthroughs at a time. 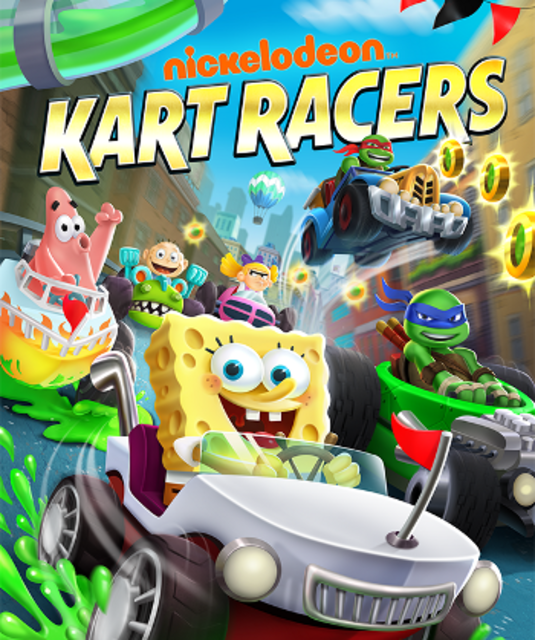 Featuring Grand Prix, Free Race, and Time Attack modes, this kart racer features a few of your favorite Nickelodeon characters such as the Teenage Mutant Ninja Turtles, Arnold from Hey Arnold, Tommy from Rugrats, Spongebob Squarepants, and more. There’s also speed and difficulty options for each mode you play, and each racer controls and handles nearly the same as to make sure kids and older folks can play together. Anyone familiar with any racing game will feel right at home with speeding through three laps and the winner placing first. There’s also power-ups to collect such as speed boosts, bombs and other weapons to take out the competition and speed by them to take first place. You’ll also find some coins laying around each track that you can pick up and use to unlock other racers, items, and more in the game. Being a kids title, the graphics and sounds aren’t groundbreaking, but they more than get the job done. While there’s the option to have local multiplayer for up to four racers, the lack of an online multiplayer mode is sure to be a turn off for most who play. As I mentioned earlier, this title feels extremely barebones and by the numbers, as though ported from a mobile game. But at the end of the day, kids and their parents won’t mind as it’s something to spend time together playing. If you’re a game playing parent that’s looking for something to play with the kids, then Nickelodeon Kart Racers will fit the bill nicely. As long as you’re not looking for a serious kart racer and don’t mind missing online multiplayer and other standard features on most games, you’re bound to get some Nickelodeon enjoyment from this one.